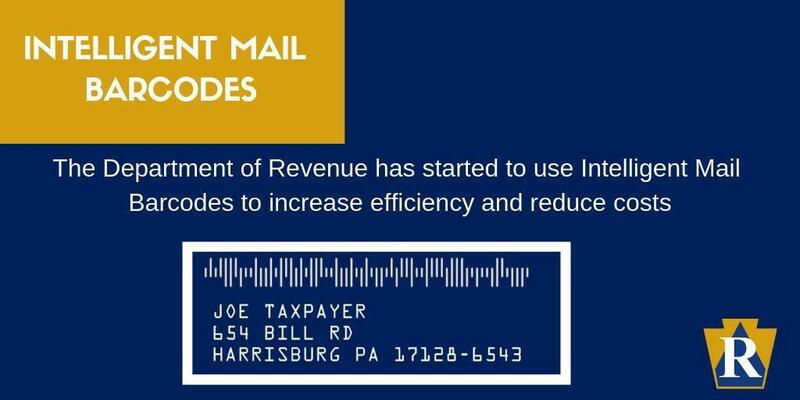 ​In an effort to continue creating efficiencies and reducing costs, the Department of Revenue has started the use of Intelligent Mail Barcodes (IMB) on the correspondence that is mailed to Pennsylvania taxpayers. Using these barcodes allows the department to track mail and to electronically verify taxpayers' addresses with the U.S. Postal Service. In cases where a taxpayer's address needs to be updated, the department can now make that determination in a timelier manner, which reduces the costs the department incurs for sending mail to the wrong address. "We now have a better system in place to ensure that taxpayers are receiving their mail from the department as quickly as possible," Revenue Secretary Dan Hassell said. "This is another step that we are taking to improve customer service and provide taxpayers with the information they need to stay in compliance." The IMB, which is a 65-bar barcode, consists of a 20-digit Tracking Code that embeds various data points into the barcode. These data points, which include the barcode identifier, service type identifier, mail identifier, serial number and routing code, allow the department to improve the speed, accuracy and delivery of mail. Using these barcodes also makes the department eligible for automation discounts from the USPS. Moreover, through IMB the department receives updated address information daily and can be informed immediately of a change of address or bad address for a taxpayer. Importantly, the department also is informed of why the address is bad. It receives notification of what went wrong (examples: not deliverable as addressed, insufficient address, vacant, refused, etc.). Another important feature of IMB is what happens to the mail that can't be delivered. When a piece of mail is undeliverable and doesn't contain personally identifiable information, it is destroyed by USPS instead of being returned to the department. That significantly reduces the amount of time that Revenue employees spend sorting and disposing of returned mail. The department also receives a daily file of what pieces of mail were destroyed, what was mailed back to the department and what pieces were forwarded automatically with an updated address. This leads to less manual effort and a better response time to returned mail. Since the IMB barcodes were first implemented in November, there have been over 1,200 accounts that have made payments after an address was updated through IMB. 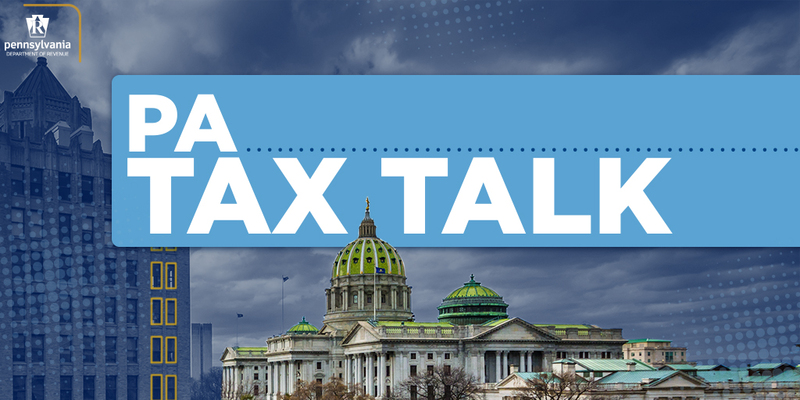 These payments have accounted for more than $409,000 in tax revenue, which helps the department fulfill its mission of collecting the revenue that funds essential services and programs for Pennsylvanians. Secretary Hassell also noted the department launched an electronic correspondence initiative last year that eliminates paper mail completely for those who opt in to this service. The initiative allow users of e-TIDES, the department's online business tax system, to electronically receive all of their tax-related correspondence from the department in real time. This streamlines the process for customers who no longer have to wait for their correspondence to arrive through the U.S. mail. Visit this link for more information.